the concept of EEZ can be regarded as part of Customary International Law. EEZ is an area beyond and adjacent to the territorial sea. It extends up to 200 nautical miles seaward from the coast baselines from which the breadth of the territorial sea is measured. The outer limit of the EEZ shall be shown in the chart of a scale which shall be given due publicity by the states. In the Exclusive Economic Zone , the coastal states have sovereign rights for the purposes of exploiting, exploring, conserving and managing the natural resources of the waters superjacent to the sea-bed and its sub-soil. Article 58 lays down the rights and duties of other states in the exclusive economic zone. These are basically the high seas freedom of navigation, overﬂight and laying of submarine cables and pipelines. It is also provided that in exercising their rights and performing their duties, states should have due regard to the rights, duties and laws of the coastal state. In cases of conﬂict over the attribution of rights and jurisdiction in the zone, the resolution is to be on the basis of equity and in the light of all the relevant circumstances. Article 60(2) provides that in the exclusive economic zone, the coastal state has jurisdiction to apply customs laws and regulations in respect of artiﬁcial islands, installations and structures. The International Tribunal for the Law of the Sea took the view in M/V Saiga (No. 2) (Admissibility and Merits) that a coastal state was not competent to apply its customs laws in respect of other parts of the economic zone. a. Sovereign right to explore and exploit resources. b. Exclusive right to construct and establish artificial islands and installations Art. 56 (1) (b) and Art. 60.
e. living resources e.g. to inspect, arrest and institute proceedings against transgressors. f. Right to protect their legitimate interests. 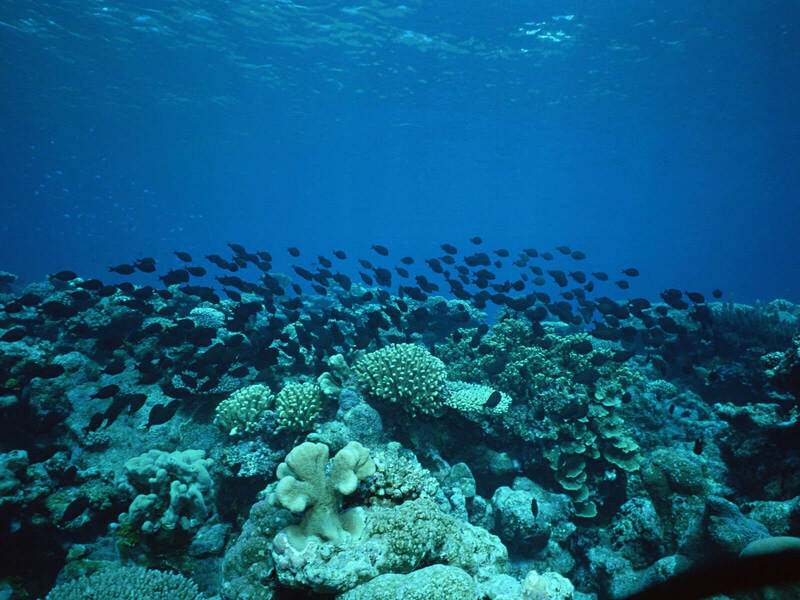 a. Conserve and manage for example: protection and conservation of the marine environment. b. Observe rights and duties of other states. c. Duty to comply with the provisions of the convention. d. Duty to notify LLS in relation to construction of artificial Islands and other Installations. e. There should also be permanent means of giving warning to other states of the existence of such Islands. f. To remove abandoned installation structures. g. To ensure that the living resources in the EEZ are not endangered by over exploitation. h. To ensure sustainable harvesting of species. i. To give access to LLS the surplus to allowable catch. j. Duty not to discriminate against LLS in maritime ports. k. Duty to inform LLS of its capacity to harvest the entire allowable catch. l. Duty not to charge fees higher than those ordinarily charged. m. Duty to facilitate smooth and undisturbed travel by LLS. n. Duty to cooperate in resolving problems that might have occurred by designating competent authorities. a. Right of access (corridor) to the sea. c. Under the EEZ: right to exploit the surplus regarding living resources. 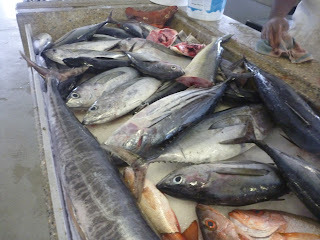 d. High seas: right to exploit living and non-living resources. e. Right to equal treatment to Maritime port. f. Freedom of navigation, over-flight, laying of submarine cables. g. Right not to be subjected to customs duties and other taxes not related to the transit. h. Right not to be subjected to charges higher than those ordinarily charged. a. Mutual duty to co-operate in resolving difficulties that may occur by designating Competent Authorities. b. To observe laws of coastal states passed in accordance with the convention. Thus, a close reading of the above will make it very clear that other states have to keep in mind rights and duties of other states and have to comply with laws of coastal state. The above was an attempt to reconcile the interests of the coastal state with those of other states who could prove customary fishing operations in the relevant area. In view of the practice of many states in accepting at one time or another a 12-mile exclusive fishing zone, either for themselves or for some other states, it seems clear that there has already emerged an international rule to that effect. Indeed, the International Court in the Fisheries Jurisdiction case stated that the concept of the ﬁshing zone, the area in which a state may claim exclusive jurisdiction independently of its territorial sea for this purpose, had crystallised as customary law in recent years and especially since the 1960 Geneva Conference, and that ‘the extension of that ﬁshing zone up to a twelve mile limit from the baselines appears now to be generally accepted’. That much is clear, but the question was whether international law recognised such a zone in excess of 12 miles. The 1970 Declaration of the Latin American states on Law of the Sea stated that the decision to extend the jurisdiction beyond the territorial sea limits is a consequence of “the dangers and damage resulting from indiscriminate and abusive practices in the extraction of marine resources”. The same is also consequence of “utilization of the marine environment” giving rise to “grave dangers of contamination of the waters and disturbance of the ecological balance”. In 1972, concerned at the proposals regarding the long-term effects of the depletion of ﬁshing stocks around her coasts, Iceland proclaimed unilaterally a 50-mile exclusive ﬁshing zone. The UK and the Federal Republic of Germany referred the issue to the ICJ and speciﬁcally requested the Court to decide whether or not Iceland’s claim was contrary to international law. The Court did not answer that question. Rather, it held that Iceland’s ﬁshing regulations extending the zone were not binding upon the UK and West Germany, since they had in no way acquiesced in them. ICJ, however based its judgment by implication on the fact that there was no existence of any rule of international law permitting the establishment of a 50-mile ﬁshing zone. Similarly, it appeared that there was no rule prohibiting claims beyond 12miles and that the validity of such claims would depend upon all relevant facts of the case and the degree of recognition by other states. The Court emphasised instead the notion of preferential rights, which it regarded as a principle of customary international law. Such rights arose where the coastal state was ‘in a situation of special dependence on coastal ﬁsheries’. However, this concept was overtaken by developments at the UN Conference and the 1982 Convention. Article 55 of the 1982 Convention provides that the exclusive economic zone is an area beyond and adjacent to the territorial sea, subject to the speciﬁc legal regime established under the Convention. Article 55 of the UNCLOS provides that the zone would start from outer limit of the territorial sea. Article 57 further notes that it shall not extend beyond 200 nautical miles from the baselines from which the breadth of territorial sea is referred. This automatically means that the zone will not be more than 188 miles save where the territorial sea is less than 12 nautical miles. 104 signatories of UNCLOS have by far declared a 200-mile Exclusive Economic Zone. From the above discussions, it is apparent that creation of EEZ by UNCLOS – 1982 has certainly developed rights as well as duties for coastal and other states. Similarly, one can clearly apprehend that UNCLOS, 1982 finally led to the development of Exclusive Economic Zone by overcoming various hurdles and steps. In this manner a new regime of Exclusive Economic Zone was established in 1982 under UNCLOS. Beginning from Santiago Declaration and ending at UNCLOS, 1982 and crossing various other declarations and conferences, one would find it safe to conclude that EEZ stands as progressive piece of development of International Law. 1) Fisheries Jurisdiction cases, ICJ Rep. (1974). 2) Tunisia v. Libya, ICJ Rep. (1982). 3) M/V Saiga (No. 2) (Admissibility and Merits) (ILR) (1999). 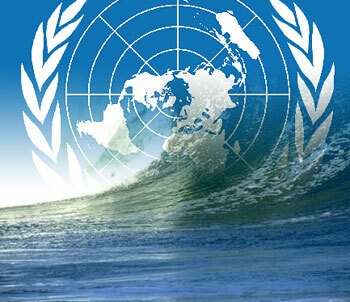 1) United Nations Law of the Sea Convention, 1982. 2) The 1952 Santiago Declaration. 3) The 1958 Geneva Convention on the Territorial Sea. 4) The European Fisheries Convention, 1964. 5) The 1970 Declaration of the Latin American states on Law of the Sea. 1 O’Connell, International Law of the Sea 625 (2002). United Nations Law of the Sea Convention, 1982 [hereinafter “UNCLOS’ 82”]. Tunisia v. Libya, ICJ Rep. (1982), ¶ 2. Malcolm N. Shaw, International Law 580 (6th ed., 2008). http://www.eoearth.org/article/Exclusive_economic_zone_(EEZ), last visited at 27-06-2012 at 18:00 pm. H.O. Aggrawal, International Law and Human Rights 143 (17th ed., 2010). UNCLOS’ 82, Art. 56 (1) (a). 120 ILR, pp. 143, 190; See also, H.O. Aggrawal, International Law and Human Rights 143 (17th ed., 2010). UNCLOS’ 82, Art. 56 (1) (b) and Art. 60. UNCLOS’ 82, Art. 56 (2). UNCLOS’ 82, Art. 60 (3). UNCLOS’ 82, Art. 61 (2). UNCLOS’ 82, Art. 61 (3). UNCLOS’ 82, Art. 62 (2). UNCLOS’ 82, Art. 70 (4). UNCLOS’ 82, Art. 125 (1). UNCLOS’ 82, Art. 130 (2). UNCLOS’ 82, Art. 58 (3). Malcolm N. Shaw, International Law 582 (6th ed., 2008). Fisheries Jurisdiction cases, ICJ Reports, 1974, pp. 8, 175; 55 ILR, p. 238; See also, Malcolm N. Shaw, International Law 582 (6th ed., 2008). ICJ Reports, 1974, pp. 23–9; 55 ILR, p. 258; See also, Malcolm N. Shaw, International Law 582 (6th ed., 2008). thanks for making the concept clear.